Mueller could also be talking about the constitutional aspect to this, where impeachment is a political question for the Congress, not a legal question for the Department of Justice. It’s hard to say exactly what this means without reading the full Mueller report, which is why it’s so important that this report be made as public as possible (it no doubt includes a ton of classified information, which is why it should take some time to release the information contained in the report). Not to mention, two Trump appointees in the DOJ saying that they “concluded that the evidence developed during the Special Counsel’s investigation is not sufficient to establish that the President committed an obstruction-of-justice offense,”—and not Robert Mueller—is not great optics for the DOJ. We need to see this report. One thing that is pretty clear from this report however, is Mueller’s statement that “the investigation did not establish that members of the Trump Campaign conspired or coordinated with the Russian government in its election interference activities.” The MSNBC-backed notion that Trump is Putin’s puppet and he is under the sway of the Russian strongman’s every whim is betrayed by the words of Robert Mueller. This is an angle that liberals are going to need to drop to some degree, as even though a judge said that Paul Manafort handing off sensitive campaign polling data to his Russian military intelligence-trained right hand man, Konstantin Kilimnik, constituted a connection to the Russian government, Robert Mueller seemingly concluded that actions like those do not meet the high legal bar his work requires. 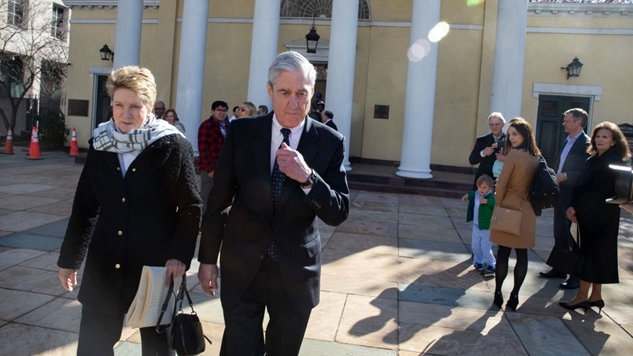 The Mueller saga is far from over, as the obstruction of justice question was left wide open-ended, and per The Daily Beast report and reading between the lines in the DOJ’s summary of Mueller’s report, the determination of whether the president obstructed his investigation will surely be left up to Congress.